John Mayer is singing a sad song these days. The award-winning musician has revealed that he’s taking an “indefinite break” from touring. Mayer’s having serious trouble with his most important instrument — his voice. John Mayer can’t catch a break. His voice is on the rocks and he’s been forced to make a drastic decision — he’s canceling his spring tour. Friday, Mayer announced on Tumblr that we’ll have to wait a little longer to hear his sweet tunes. “During rehearsal on Tuesday, it came to mind that I should see my throat doctor because something didn’t feel/sound right,” said Mayer. The singer revealed that the granuloma continues to snowball, because it’s in a spot where the vocal cords constantly hit each other. The only way to heal the area is with extensive treatment and rest. That means no singing. 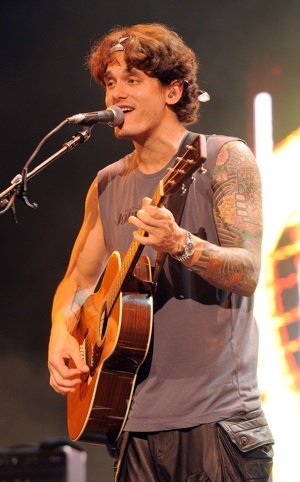 Mayer went on to apologize to the fans that were looking forward to his live performances. Aww, poor John. Even though the tour is a no-go, the singer confirmed that his new album Born and Raised will still be released as scheduled on May 22. At least you can look forward to that. Are you bummed about missing Mayer?